The South African Davis® training follows the standards set by the Davis Dyslexia Association International (DDAI). DDAI is based in the United States and oversees training and licensing of Davis® providers worldwide. Affiliated Davis Dyslexia Associations have been established throughout the world, and they co-ordinate training, licensing, and events within the regions they serve. The Davis Facilitator Licensing Program is a professional training program requiring approximately 240 hours of course work and 180 hours of field work. It culminates in a Licensing Agreement which qualifies and entitles a person to use the Davis trademarks to advertise and provide standard Davis® Programs for dyslexia, attention focus, maths, and for young learners. Individuals may qualify for licensing as a Davis Facilitator by completing a combination of participatory workshops and practice meetings together with independent field assignments. The course series as detailed below must be completed in sequence. The first course is open to all interested adults. Completion of each course in the series is a prerequisite for enrollment in the next succeeding course, until completion of at least one Pod week. The total cost of the 2017-2018 training in South Africa was R 165,700, and we aim to keep the cost similar for the 2019-2020 cohort. The first-year required local annual professional membership of R 4,000 for Davis Dyslexia Association Africa is included in the above total, but the $350 mandatory International annual licensing fee is also due at the end of the training. The above two amounts (R4,000 and $350) are the only ongoing fixed licensing costs for Davis Facilitators after licensing, apart from a R1,700 reading fee for case studies submitted for at least the first two years after licensing (until 25 programmes have been provided without any complaints or concerns). The Davis Facilitator Licensing Program is a professional training program requiring approximately 240 hours of course work and 180 hours of field work. It culminates in a License Agreement which qualifies and entitles a person to use the Davis® trademarks to advertise, market and sell Davis Dyslexia Correction, Davis Attention Mastery, or Davis Math Mastery Programs. What are the advantages and benefits of becoming licensed? listing on the www.dyslexia.com website which is among the top 10 Internet sites in the world on dyslexia. It receives an average of 8,600 visitors per day. an annually renewable license granting rights to specific uses of internationally registered trademarks and service marks, and the Davis name, in advertising and promotional materials. These marks assure the public of the International quality standards attained and maintained by Davis Facilitators. They also protect the Facilitator from unlicensed competition and use of these marks by other businesses. Listing in DDA Internet directories and newsletters, where available. Exclusive right to purchase Davis Program materials such as Client Manuals & Kits. Professional fellowship and networking with hundreds of other Davis Facilitators around the world via subscription to the private DDAI Facilitator e-mail network. Who can apply for the Facilitator Training Program? ideally had some professional or volunteer experience or training in education, human services, social work, counseling or psychology. What skills and qualities are required prior to training as a Davis Facilitator? 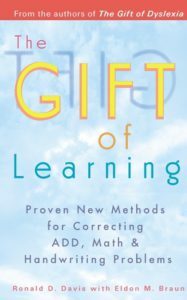 Willingness to learn, use, and adhere to the Davis methods as a self-sufficient body of principles and techniques distinct from other methods and approaches for addressing dyslexia and learning disabilities. Strong written and oral language and math skills (if needed, this can be addressed by a personal programme - at additional cost). Ability to provide professional presentations both in written and verbal forms (if needed, this can be addressed by a personal programme - at additional cost). What skills and knowledge will I gain during the Facilitator Training Program? Ability to interview and assess potential clients to establish rapport and determine suitability and readiness for a Davis Program. Ability to use and adapt the full range of Davis techniques for addressing learning difficulties in the form of a standard 5-10 day Program. Knowledge and skill in helping clients who have difficulties with reading, handwriting, math, coordination, auditory disorientation, and attention focus. What criteria are used to determine completion of the Facilitator Training Program? articulating and applying the fundamental reasoning and logic of the Davis methods and principles. interviewing and assessing potential clients to establish rapport and determine suitability and readiness for a Davis Program. providing 5-day Davis Dyslexia Correction Programs. a clear understanding of and agreement with the Standards of Practice and Facilitator Licensing Agreement requirements. 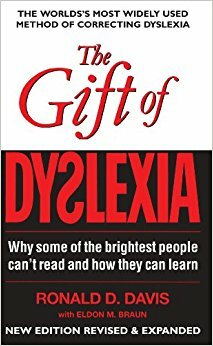 All training must be completed within two years from having participated in the Gift of Dyslexia - Fundamentals Workshop. What if I have dyslexia symptoms or other learning difficulties? Students who are aware of having dyslexia, dyscalculia, or attention deficit symptoms are encouraged to do a professional Davis Program prior to initiating any training. 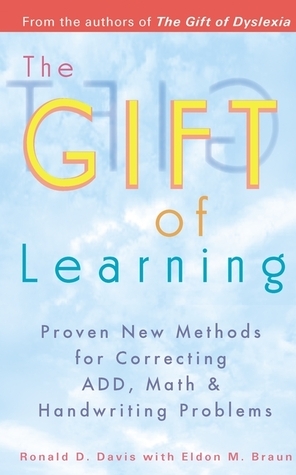 This workshop is a professional level introduction to the Davis methods and theories described in Ron Davis' best-selling book The Gift of Dyslexia. Demonstrations, some hands-on practice, group exercises, lectures, Q&A sessions, and guidance on basic implementation of Davis Dyslexia Correction are offered. This course is the first requirement for licensing as a Davis Facilitator. Attendance is limited to 30 participants. Course manual, 15-minute post-workshop consultation, Symbol Mastery Kit, Verification of Attendance letter. You practice some of the Davis techniques, using the knowledge gained in workshop. This practice is done by following a set of study assignments at home in your own time. You receive support and feedback from a Davis Specialist assigned to you. You then write up a report and submit to us, which is then commented on by your Specialist. Prerequisite: The Gift of Dyslexia Workshop. This module is open to trainees who have completed the Basic Davis Field Assignments. Its purpose is to refine counselling skills, and develop a deeper experiential understanding of dyslexic perception, thinking, learning style, and process. It may be repeated to improve skills. Intensive supervised practice of the basic Davis Dyslexia Correction procedures is provided in small groups. Group size is limited to 6 persons per specialist. Specialist consultations and evaluations are included. Prerequisites: The Gift of Dyslexia Workshop; Basic Davis Field Assignments. This workshop provides specific training in applying the advanced Davis procedures for addressing the symptoms of Attention Deficit Disorder, dyscalculia and dysgraphia. It includes an advanced course manual, an Auditory Orientation & Fine-Tuning CD, and a Verification of Attendance letter. Prerequisites: The Gift of Dyslexia Workshop; Basic Davis Field Assignments; Basic Practice Meeting. The program of training leading to licensing as a Davis Facilitator requires a special application. Students may apply to the Facilitator Training Program after completing an Advanced Davis Methods Workshop and upon recommendation of a Davis Specialist. Enrollment in the Advanced Davis Field Assignments and Advanced Supervised Practice Meeting is contingent on acceptance to the Facilitator Licensing training program. Be a current member of your regional Davis Dyslexia Association. Fill out the application form describing your educational and professional experience. Write two brief essays explaining why you wish to become a Facilitator and how you intend to provide and promote Davis Dyslexia Correction® in a business setting after licensing. Sign the Davis Dyslexia Association Standards of Practice Agreement and Character Attestation. Acknowledge having carefully read the Facilitator Licensing Agreement. Fill out and return a signed Application Self-Evaluation. Send the above documents to your regional DDA (if none, then send to DDAI). Upon receipt of the application, an interview may be requested to ensure your needs and expectations will be met by the Davis Facilitator Training Program. Once your application to join the training program is accepted you will receive notification from your local DDA of your acceptance, your supervisor assignment, and instructions for enrolling in your next step. Note: Part of the Facilitator training program requires the trainee to receive a Davis Dyslexia Correction Program from another trainee. If a prospective trainee has any special needs or reservations about undergoing this part of the licensing training the local DDA Training Supervisor should be notified and an intervie wrequested to discuss this. This course provides a structure for field practice of the methods taught in the Advanced Davis Methods Workshop. Includes up to 3 hours of Specialist consultation, assignment list, forms, and evaluation based on student reports. This five-day course provides intensive supervision leading to mastery of the core Davis procedures; and further instruction in the logic, reasoning, and strategies underlying the Davis methods, and the administration of Davis Programs. This course may be repeated for those needing additional practice. The student assumes the role of a Davis facilitator, to provide a complete 5-Day Correction program to another pod participant. The program is observed by the Specialist and a student in the observer role. The student assumes the role of the program client, receiving a complete 5-Day Correction program from another pod participant. The program is observed by the Specialist and a student in the observer role. The student observes the course of the 5-Day Correction program being completed by the other two pod participants. The observer role include opportunities for active participation in sharing observations with the other participants and the Specialist. The roles are not done in a specific order, but are assigned by the Specialist to assure that each student has an opportunity to participate in each role. Includes individual supervisor consultations, Client Kit in the “receive program” Pod Week, and handbook of forms required for providing Davis programs. Group discussions and short lectures led by a Specialist are held throughout the Pod Weeks. These further prepare a student for providing Davis programs in a professional, business setting. The observing and providing roles may need to be repeated to improve skills. Providing 4 Davis Programs: At least four complete Davis Programs must be provided in the student’s own professional setting, independent of supervision. The client files of two (2) of these programs (which have full confidentiality and will be returned) and short reports of the other two cases are evaluated by a Davis Specialist. These Assignments can begin upon Specialist recommendation after completing one Pod Week. At least two of these programs must be provided after all three Training Pod Weeks are completed. Phone consultation with a Specialist, as needed, is available by appointment. Submission of additional client files may be required. Upon completion of this segment of training, with recommendation of the Specialist and necessary documentation, Certification and Licensing will be granted subject to annual renewal requirements specified in the Davis Facilitator Licensing Agreement. Attendance at this workshop is optional prior to initial licensing as a Davis Facilitator. Attendance is required prior to first year license renewal. We aim to offer the first step in the training (the four-day Gift of Dyslexia workshop) at some point in 2019 and in January 2020, and this group is then expected to license early 2021. By clicking the button below, you can download a document for your information, outlining the training schedule for the 2018 cohort which is just about to become licensed.